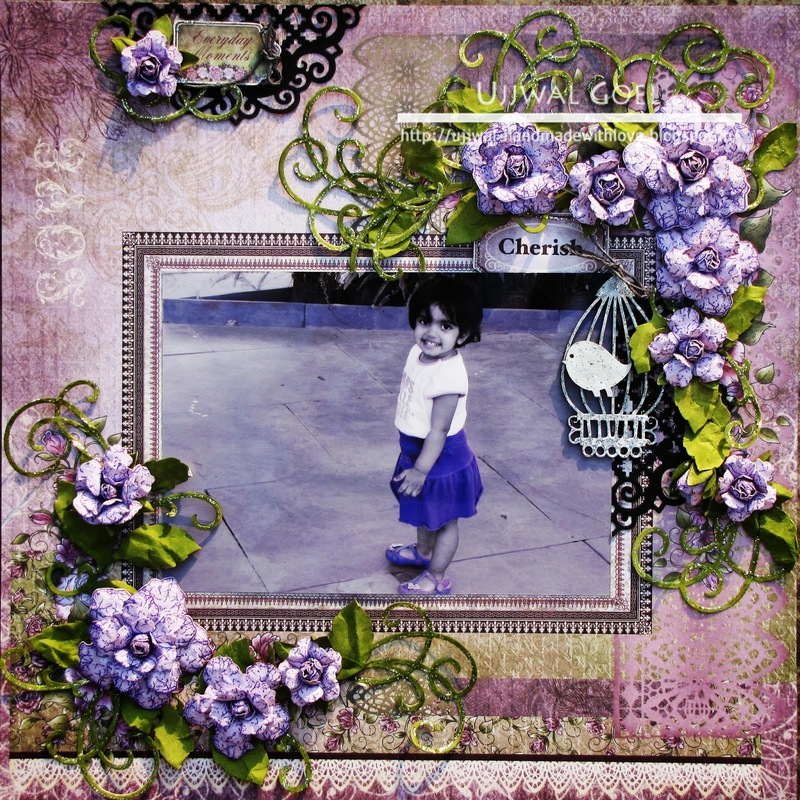 I did this pretty layout with a sweet picture of Aadya from our recent trip to Panchgani and used the sketch at C'est Magnifique February Challenge. 1. Start with a beautiful 12X12 paper from the Raindrops on Roses collection with a 5X7 picture panel. 2. Adhere the photo inside the panel. 3. Die cut and stamp flowers using the Vintage Floret stamps and die. Ink them with Milled Lavender Distress Ink and mold them into roses by following the video tutorial here. 4. Die cut leaf clusters using the Bella Rose die and ink them up with peeled paint distress ink. Mist a little with water and scrunch the leaves a little. Let dry. Lightly glitter the swirls for more interest. 5. Die cut decorative doily from the Raindrop and roses collection and cut it in half. 6. Paint the chipboard bird cage using white acrylic paint and then add hints of glitter on it. Tie a little bow using some twine. 7. 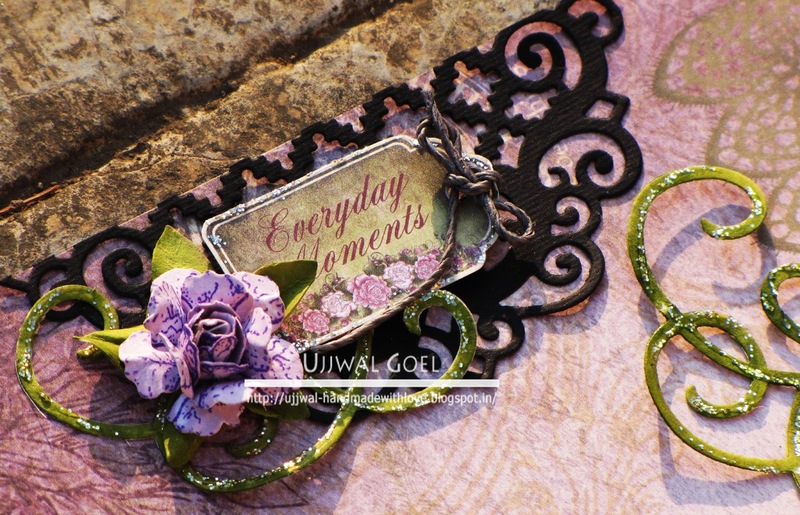 Cut of “Cherish” and “”Everyday Moments” tags from the Raindrops and Roses collection. 8. Now that all the elements are ready, arrange and adhere them as shown in the picture. I love how this turned out. It was a lot of work but worth it. 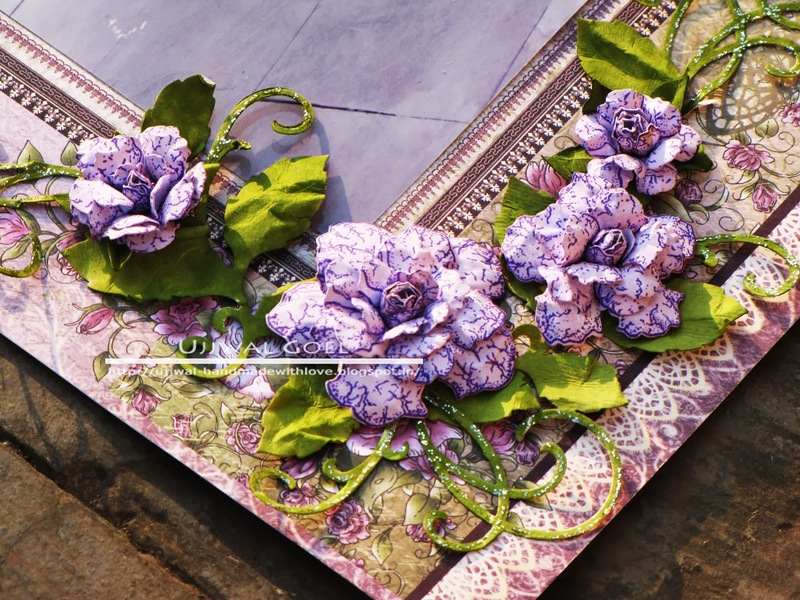 Don't forget to visit the HC blog for some fabulous design team inspiration. 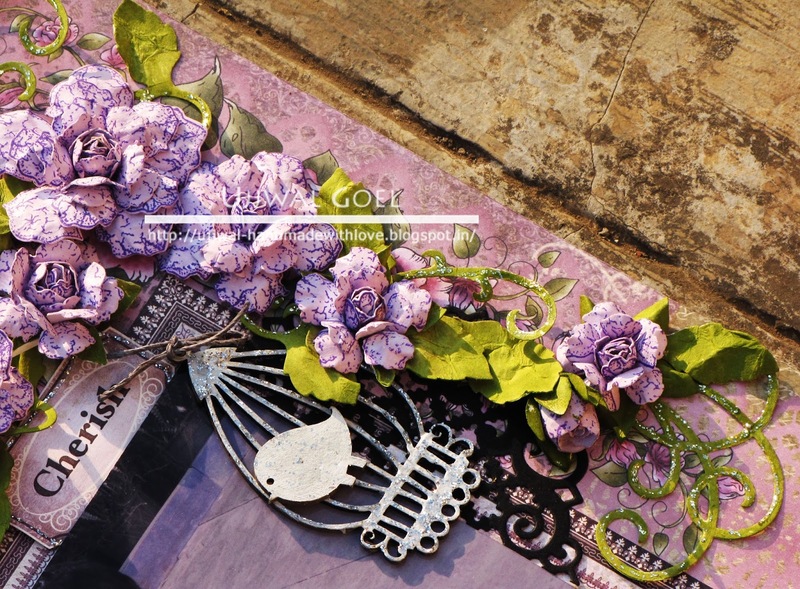 It's such a gorgeous layout Ujjwal!! Love the pretty roses. The purple color looks so appealing.. and Aadya seems to be enjoying her vacation! it is beyond gorgeous, those flowers are amazing, the layout is fantastic, and yes, the little girl is adorable!!!!!! This is just a gorgeous layout. What a gorgeous layout! All those beautiful blooms and the sweet little birdcage frame the picture so well.